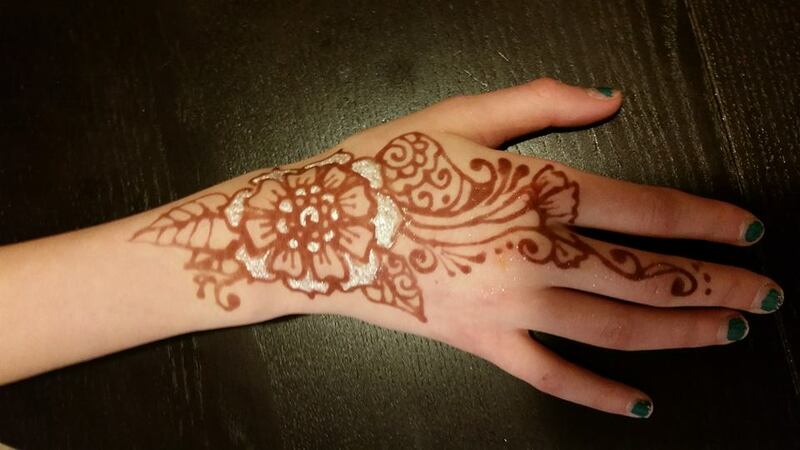 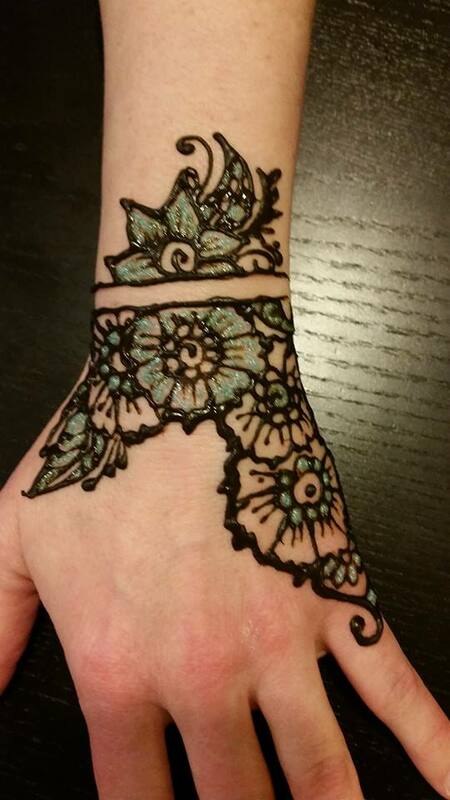 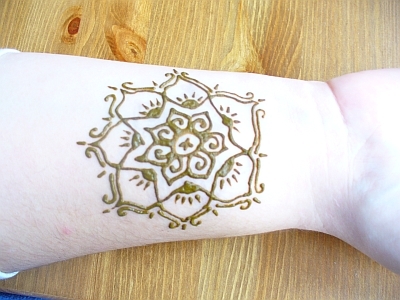 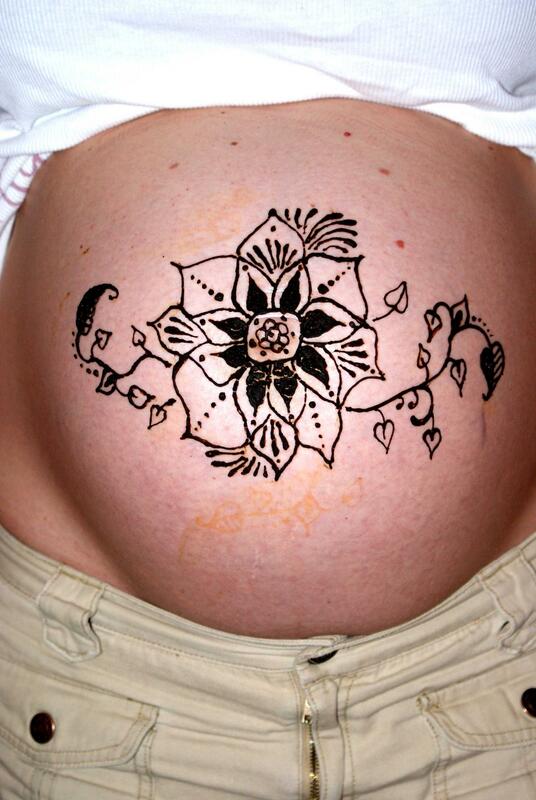 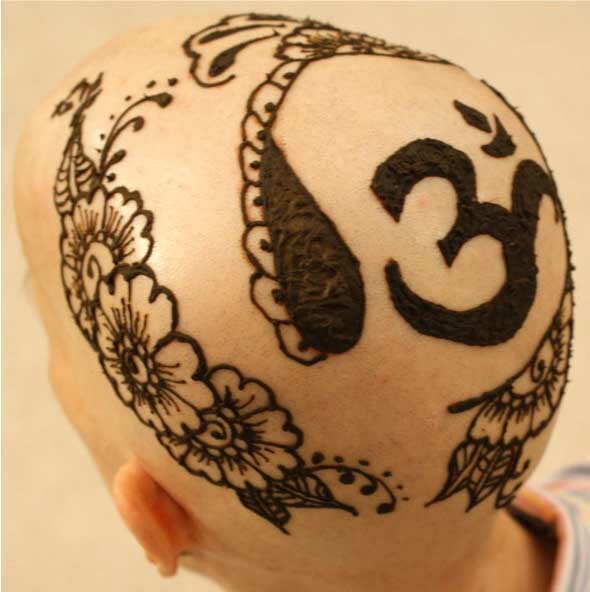 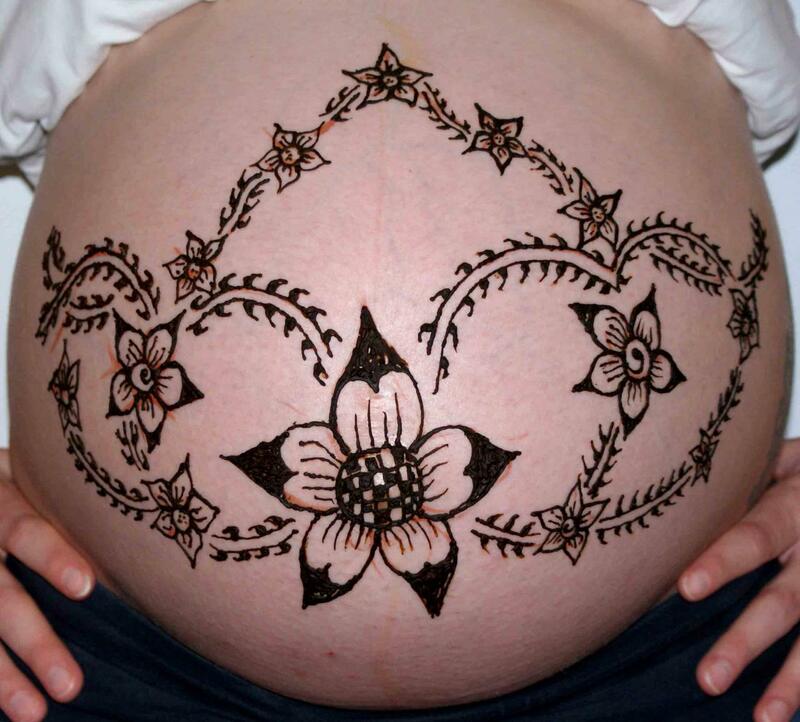 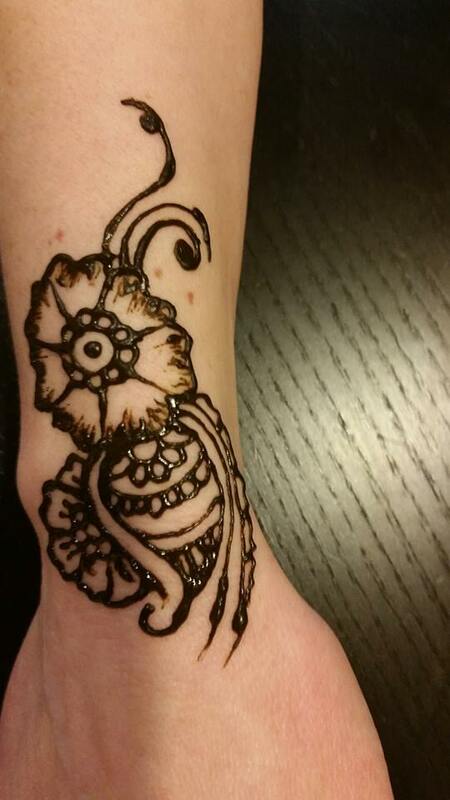 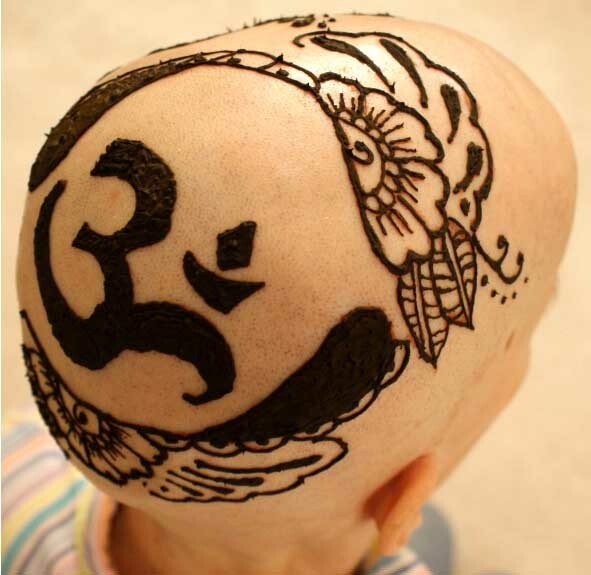 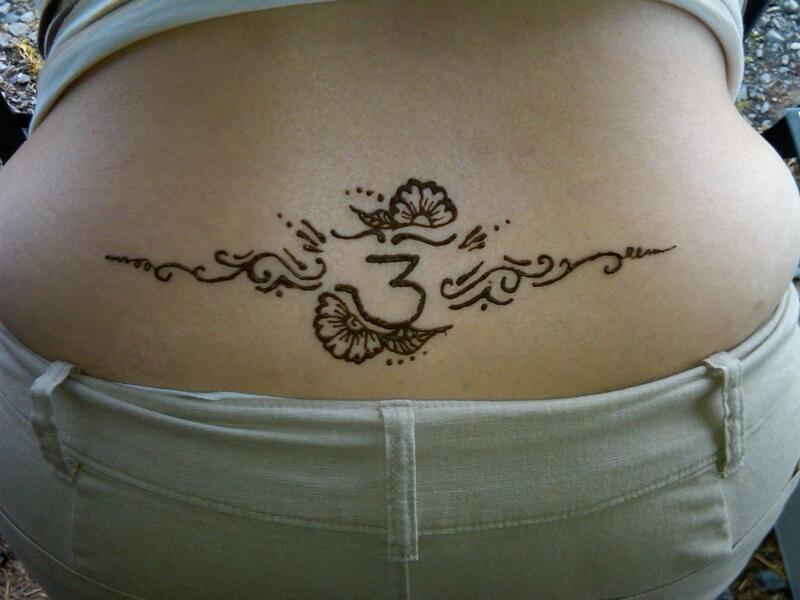 Henna is a natural plant dye which stains the skin and can last from 7 days to 3 weeks depending on skin type, placement of the design, and care of the design. 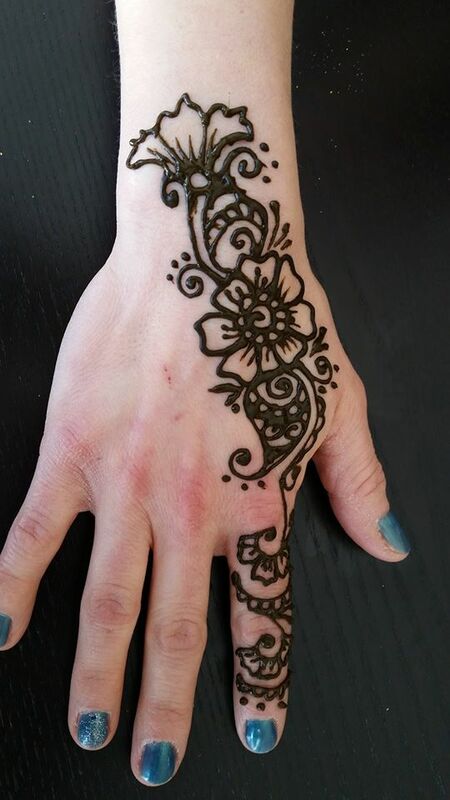 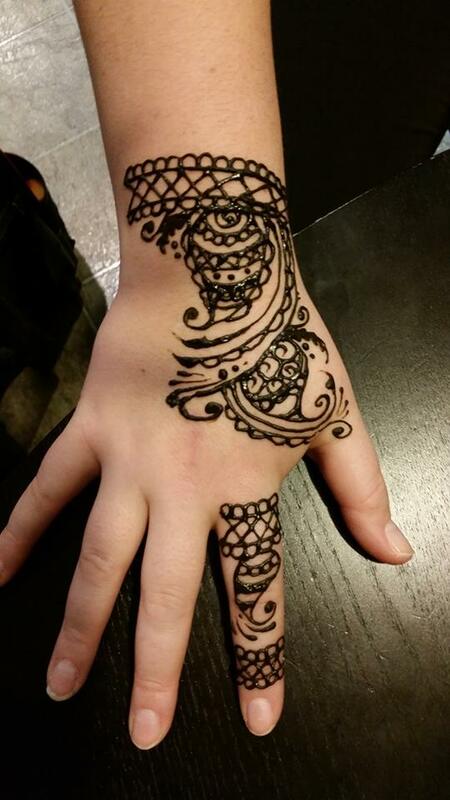 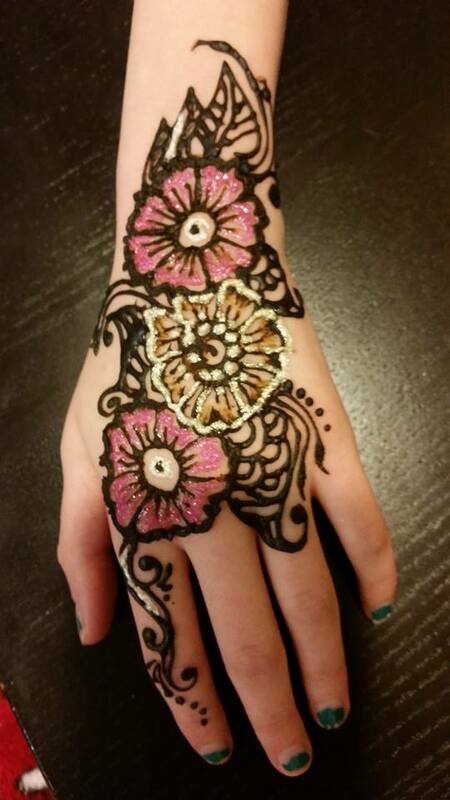 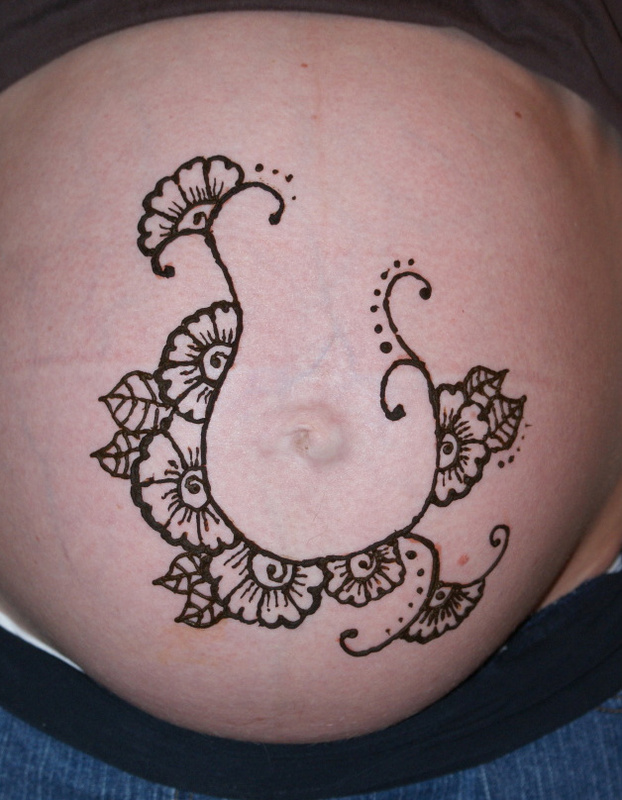 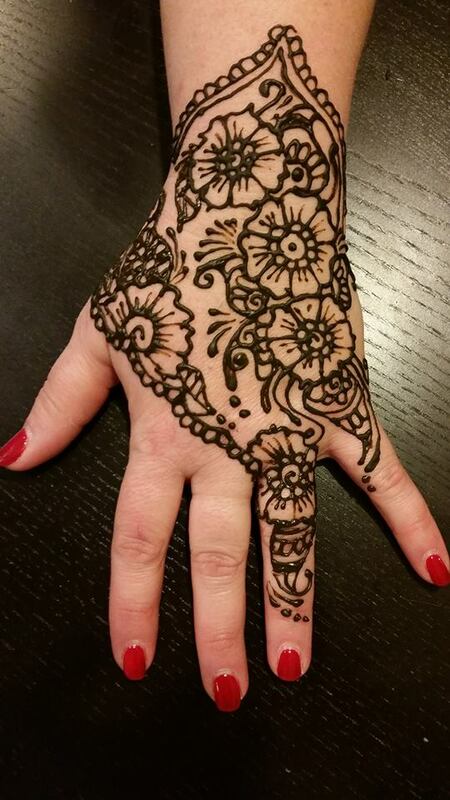 Designs can be chosen from patterns the artist brings, done by freehand by artist from her designs, or can be designed at the party. 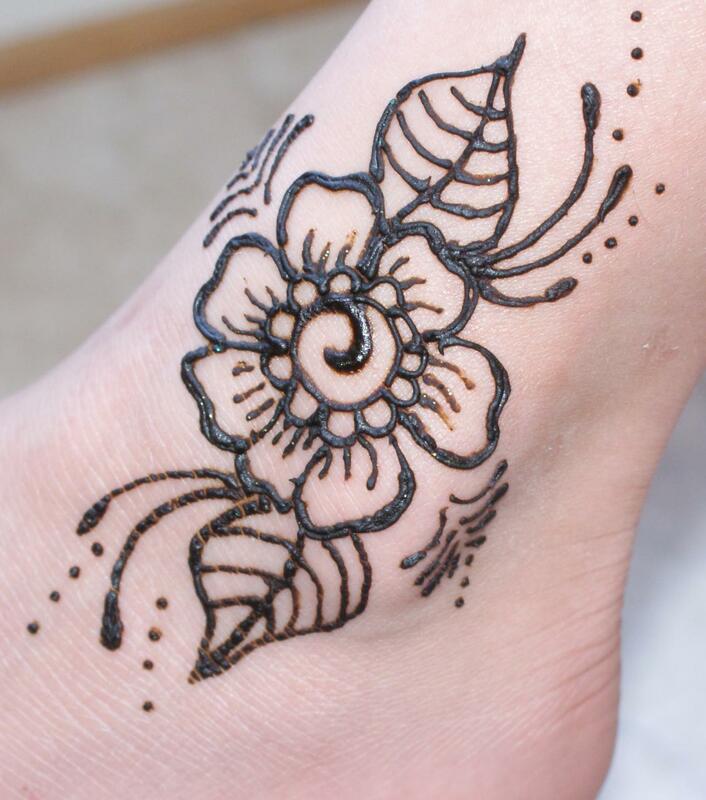 Please click on any picture to start the slide show. 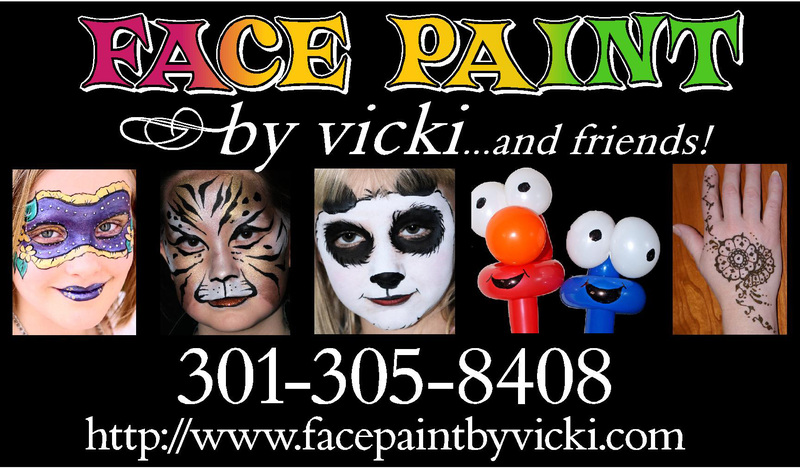 All pictures are property of Face Paint by Vicki and Friends and cannot be used without written permission. 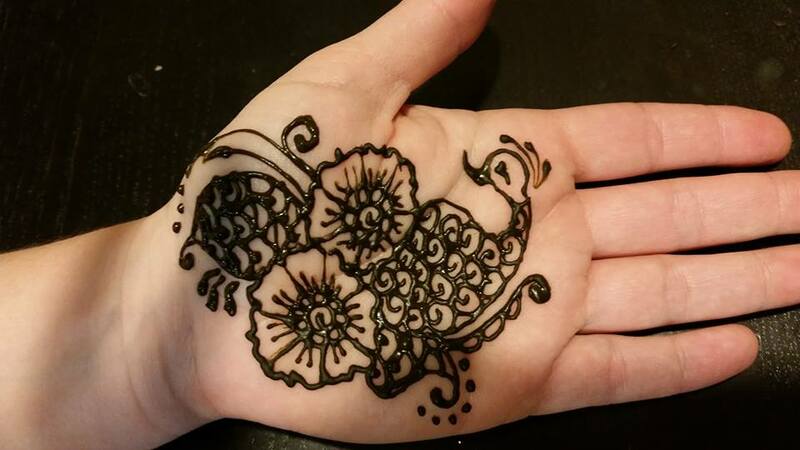 Use of pictures without permission is a violation of copyright laws and is also considered to be unethical.